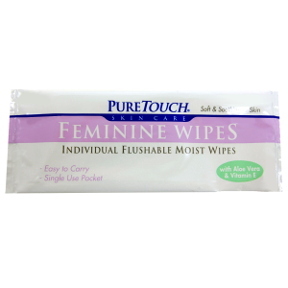 1 moist feminine wipe in individually sealed travel size packet. Flushable. With Aloe and Vitamin E.